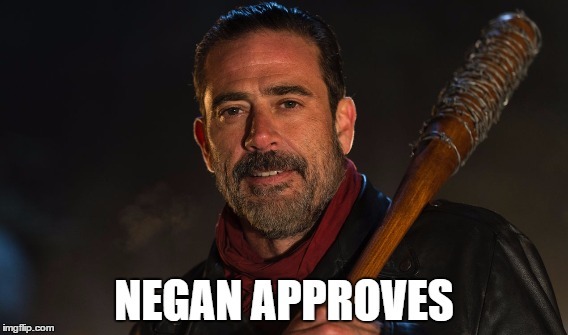 As a saviour I have to honor our King Negan and just admit it, we love to loath, hate or adore him (depending on who’s side your on ofc) Turning yourself into Negan doesn’t have to be hard. You just need a couple of things you might already own or get your hands on quite easily. You need a (faux) leather jacket, dark jeans, a red scarf or shirt and Lucille. If you don’t own a jacket, check out thriftstores , they usually have some cool ones for a fair price and most stores sell maroon/red shirts for a few bucks/pounds/euros. 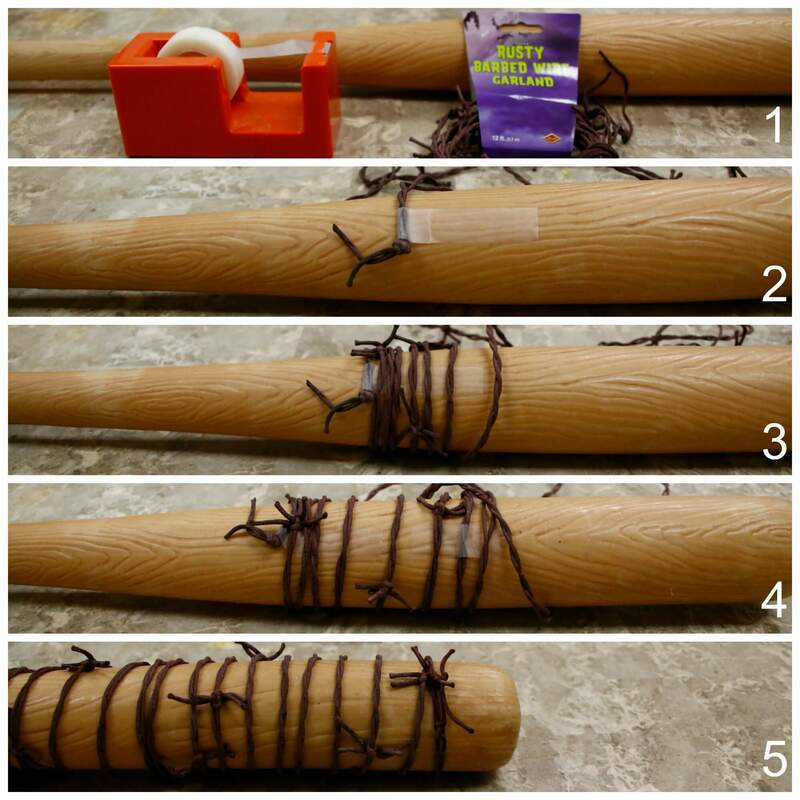 Now getting your hands on Lucille might seem a bit tricky, but not to worry. This is where the DIY kicks in, guys. Here are the step-by-step instructions. Start with your bat, garland, and tape (1, as shown in the image above). Tape down one end of the garland onto the bat (2). You can also start by tying the garland around the bat, but I found that the tape keeps the garland from sliding all over. Next, wrap the garland over the tape and around the bat (3). If necessary, add another piece of tape to further secure the garland (4). Space out the garland so that the end reaches the tip of the bat, then tie it in a knot (5). Now it looks quite badass already, but Lucille is a feisty little lady that looks best in red. So add some rusty looking paint to make it look like dried up blood. Now all you need to do is check your facial hair situation and add some fake one with make-up or them stick on thingies. Don’t forget to comb your hair back and add some hair gel to get that slick signature look.